From the moment you contact us you’re guaranteed to receive truly independent expert advice. There is someone to help you every step of the way with your holiday or travel arrangements. Discover the world with Premier Travel, and let us provide you with a lifetime of memorable experiences. 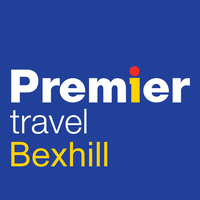 Premier Travel Bexhill, an Independent Travel Agency, providing individually tailored holiday and travel solutions suited to your needs and priorities. Please “Like Us” on our Facebook & “Follow Us” on our Twitter pages. to check up on what’s happening PLUS special offers and travel related news. email Bexhill@Premier-Travel.co.uk with your travel needs.